I was raised to be an avid reader. My mom took us to the library frequently, especially during the summer. We spent years reading aloud as a family, even into my college years. That love for books and story became an avenue for many conversations, insights, or revelations from God. Words on a page have a funny way of breaking down my barriers and breathing life into areas of my heart I didn’t know were dead. Books give me the language to express what I’m feeling and give me a diving board to ask God what to do about it all. Whatever you’re searching for, these books tugged at my heart and gave me the encouragement I needed to keep pressing into God. Maybe there’s one in here that will do the same for you. 1. 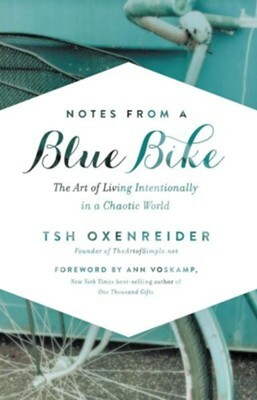 Notes from a Blue Bike* by Tsh Oxenrider. I first encountered Tsh’s writing in her second book At Home in the World. Another writer I love had recommended it, and I devoured it. So when I saw Notes from a Blue Bike* sitting on the shelf at my local library, I snatched it up. This one, unlike her first book, was not one to be devoured, but slowly savored like expensive chocolate. For the better part of 2018 I’ve been trying to slow down, find a pace that is honestly against the grain of the way most American’s live. I got tired of the constant need to push ahead and achieve and accomplish; I wanted to slow down and experience, but I didn’t know what that looked like practically–other than trying not to schedule five things in one day. Tsh’s words gave me permission and a possible roadmap. She and her family moved back to the States after spending years living in a different, much slower culture. This book is Tsh’s experience of trying to bring that slower pace into the American culture. For her, slow looked like homemade, seasonal, simple meals. It looked like valuing education and family and working from home. 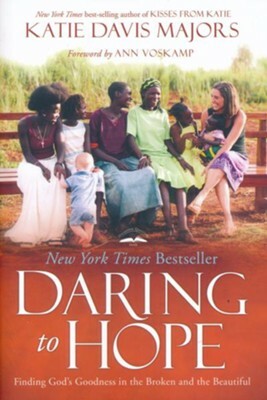 While my situation is not the same as her’s, this book has changed my trajectory and has been one of the most impactful, life changing books I have read. If you’re tired and in need of a slower pace, this one will encourage your heart and help you slow down even in your reading. This book was a gift from a friend that I finally picked up during an especially frazzled season. I was tired, worn out, and heart heavy. I needed rest, but I didn’t know how to get it. Now, I’ll be honest, I actually put off reading this book for some time because I’m not the biggest fan of devotionals. I write them, but I don’t like reading them much because too many of them out there feel shallow–a sip of water when what I need is a drink from a firehouse. But, as God often does, He drew my attention to this book on my shelf and met me in the pages. Bonnie does a phenomenal job of not just speaking words to her reader, but speaking with her reader. As I read each day’s entry, I felt ushered into the deeper places of my heart I hated to visit. I felt ushered into a place of rest and honest reflection and healing. I felt ushered in to the peaceful presence of my loving Father. If you’re on the hunt of a new devotional that has some meat to it, or something to add to your daily Bible reading routine, this 40 day devotional* will serve your heart and soul well. One of my greatest struggles in life is being responsible. My grandmother likes to say that I came out of the womb responsible. Every day since then I have tried my hardest to do the right thing, to do my best, to keep the peace between my people, and to please God. But that perfectionism gets in my way often. It leaves my brain spinning and ties my stomach in an anxious knot and leaves me feeling far from free. Shauna in here latest book shares about her struggle with similar things. The chapters are short, but this is another book I found myself savoring instead of plowing through it. This book takes a practical look at what it means to value being present in the here and now, rather than seeking to achieve and strive and be perfect. It changes the narrative about what success really means and where productivity should fall in our priorities (hint: it’s a lot lower on the list than most of us tend to place it). 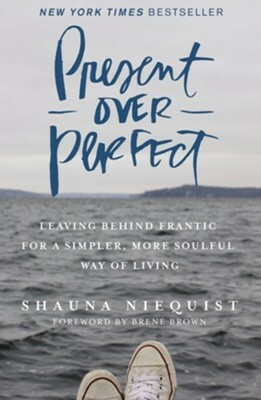 If this is something you struggle with too, Shauna’s words will breathe rest and relief to your hungry and weary heart and help you press a little deeper into these present moments. They did mine. 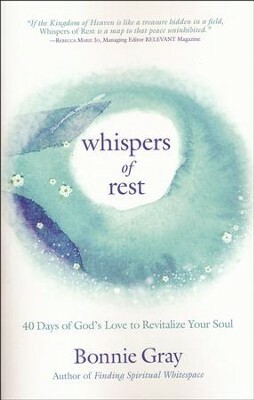 This book found me during a rough season of hopelessness and wrestling with God about the hard things. The last time I read one of Katie’s books God had spoken powerfully through it, and I was hoping He would do the same with this book. Katie shares very vulnerably about some difficult experiences she walked through and her wrestling match with God. She explores the questions about whether or not God is good and how to hold on to hope when the worst things possible are happening. Her words hit so close to home and multiple times I found myself in tears. I would put the book down, pull out my journal, and share with God how I felt the same things and it didn’t seem fair. And if you’re in need of hope in the hard stuff, Katie’s book will be a good companion through this season. Odds are you probably just scrunched up your face at this one. Most likely this book of the Bible is one you tend to avoid–unless of course you’re trying to read through the entire Bible in a year, then you just power through and breathe a sigh of relief when you’ve made it to the end. This year I made it a point early on to read God’s Word intentionally. If the entire Bible is God’s Story, then surely there was something hidden in the pages of Leviticus that would help me know God better. I was surprised to find that I was right. Amidst all of the rules and regulations, sacrifices and skin we see a God who is holy and who desires good for us. We see a God who knows how this world best works and lays out the guidelines so that we can live our best life. In one particular passage about skin diseases, God showed me a glimpse of Jesus in the Old Testament law and His heart to have all people declared clean and welcomed back into His family. There are a lot of places in the Bible that can be hard to read, but what Leviticus taught me is that when we read with our hearts open to God’s leading, He will unearth treasures that grow our faith and our understanding of Him. If you’ve skipped quickly through this book, I want to challenge you to crack your Bible open and ask God to give you insight, understanding, and excitement about what you read. If you’ve not read anything by Melanie Shankle, please do your heart a favor and get all of her books right now. She never fails to have me laughing before the end of the introduction and keeps me going all the way through. 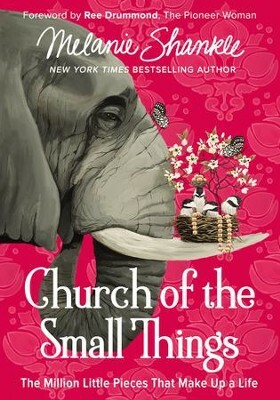 Melanie’s latest book, Church of the Small Things* had me remembering to laugh at and embrace the small things in life. Though we put a lot of stock on the big accomplishments and big life events, there is a lot to be said about treasuring the small. Melanie’s words brought me great joy, ignited my heart with laughter and gave me a nice little breather from the stress of everyday life. Not every book has to be deep and profound for your faith to be encouraged. Sometimes just the pure joy and laughter of it all is enough to bring us into a sweet encounter with God. If you are looking for something lighter and filled with joy, this one’s for you. I don’t think I’ve ever been more excited to receive a book in my life than I was to get this one. Yup, this one is technically a children’s book, but don’t think for a moment that it doesn’t have a few gems hidden in it’s colorful pages. Until reading this book, I had never seen Jesus so prominently woven through the entire Bible. 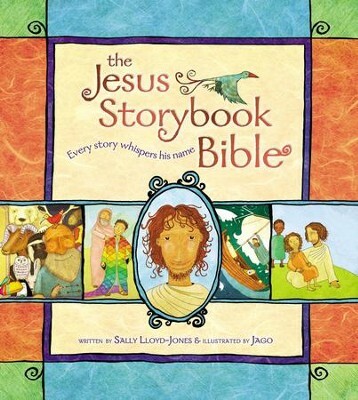 It truly is His story, and Sally’s beautiful writing will help you make connections and learn things about Jesus you never knew before. If the children’s book format is a turn off for you, she has also written an adult version under the title The Story of God’s Love for You*–same words just packaged in a more grown up way. This is a great book to pair with your daily Bible reading. It covers all of the big stories of Scripture and explains how each and every one of them points of Jesus. This book was one I’ve been waiting on for over a year ever since Annie F. Downs shared on her podcast that she was working on a new book. There are few voices in the public sector that speak to my heart more than her’s right now. Maybe it’s the fact that we have similar struggles with singleness, or that her honest vulnerability with the hard stuff helps me acknowledge my own hard stuff. Or maybe it’s the fact that her Enneagram 7-ness helps my Ennegram 1-ness unwind just a little bit and enjoy life a little more. Either way, this book has been a much needed “Me too” message when it comes to questioning whether our hard circumstances reflect a lack of love and kindness on God’s part. In this very new release, Annie shares openly about a very hard season and her journey of finding God’s kindness in the midst of unfulfilled dreams, loneliness, depression, and hope she’s not sure if she wants to hold on to anymore. 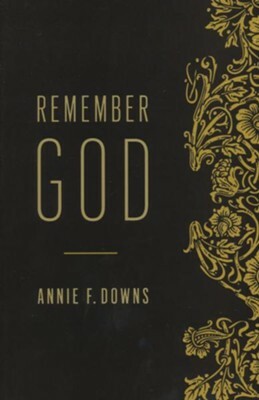 If you’ve ever wondered if God is good or kind or loving because your circumstances seem anything but, Annie’s experiences and God’s revelations to her help paint hard seasons in a different light and help us remember who God really is. What about you? 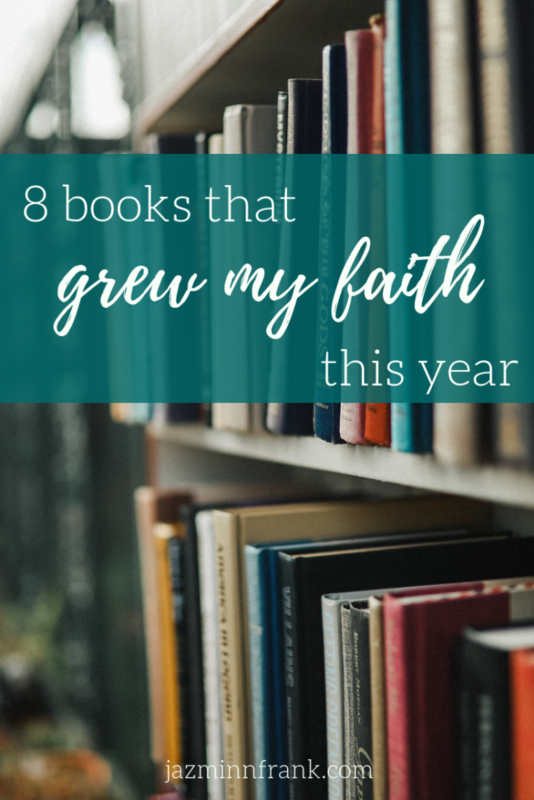 Are there any books you’ve read that have grown your faith? Is there one I mentioned that tugged at your heart? 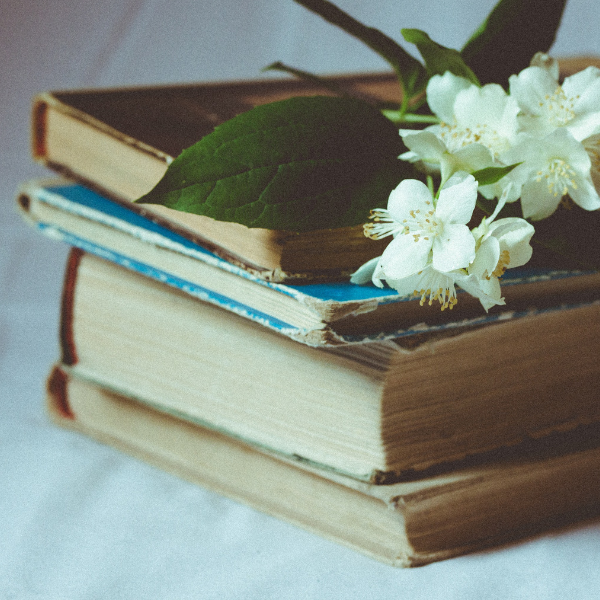 Also, if you’re looking for more books to encourage you on your journey and help you better love God’s story and your own, check out my recommended resources page for Bibles, devotionals, fiction, and nonfiction books that have helped me along the way.